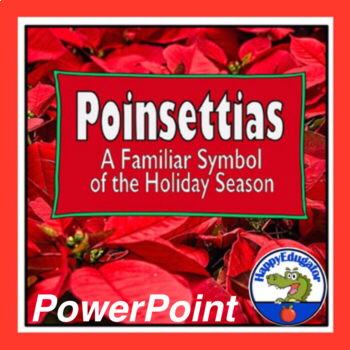 Poinsettias - Christmas Symbol PowerPoint. 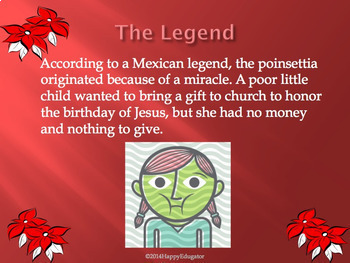 Christmas Poinsettia PowerPoint - the legend of the poinsettia, history, and symbolism of this beautiful holiday plant. Ready for the winter holidays? Brighten December! Great Christmas or winter holiday background builder. 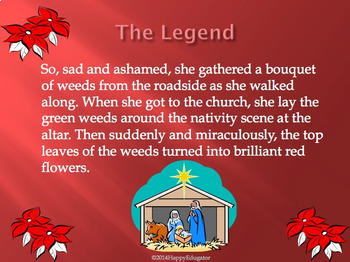 Learn interesting information on how Congress set aside National Poinsettia Day on December 12, the structure of the plant, myths about toxicity, plant growth, and fast facts about its cultivation. Informative and a good introduction to use before crafting construction paper poinsettia paper flowers or felt napkin rings for the winter holidays.